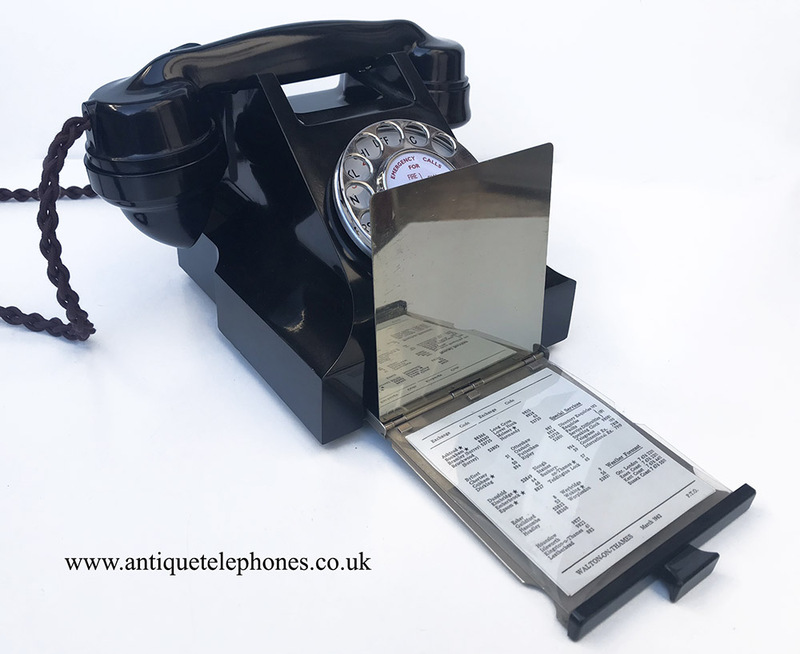 A nice example of a GPO 332L with mirror drawer. This is a very nice example of a GPO 332L with drawer. 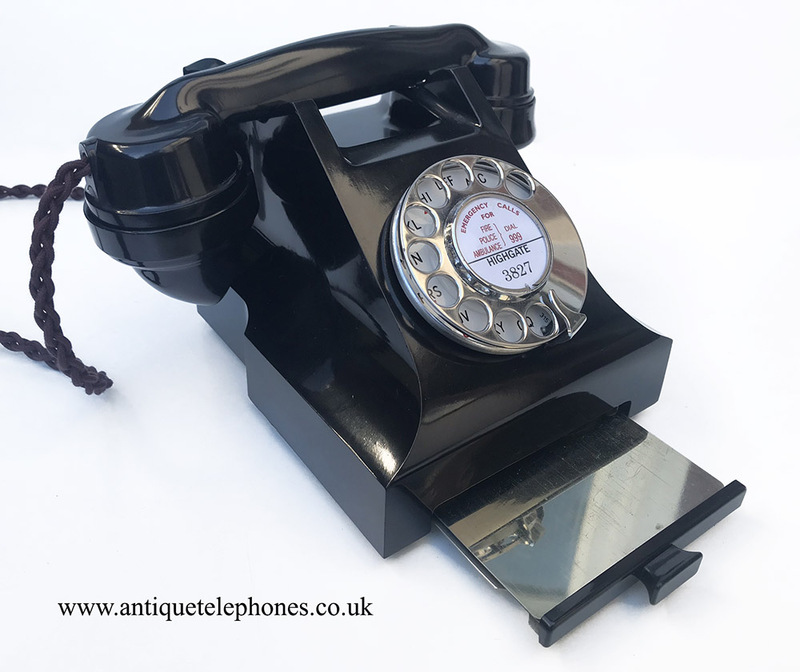 The handset is dated 1946 and base 1948 and so manufactured just after world war 2. This one came with a sought after mirror drawer which I have left on at no extra charge due to a little bubbling on the dial label holder. See last picture. 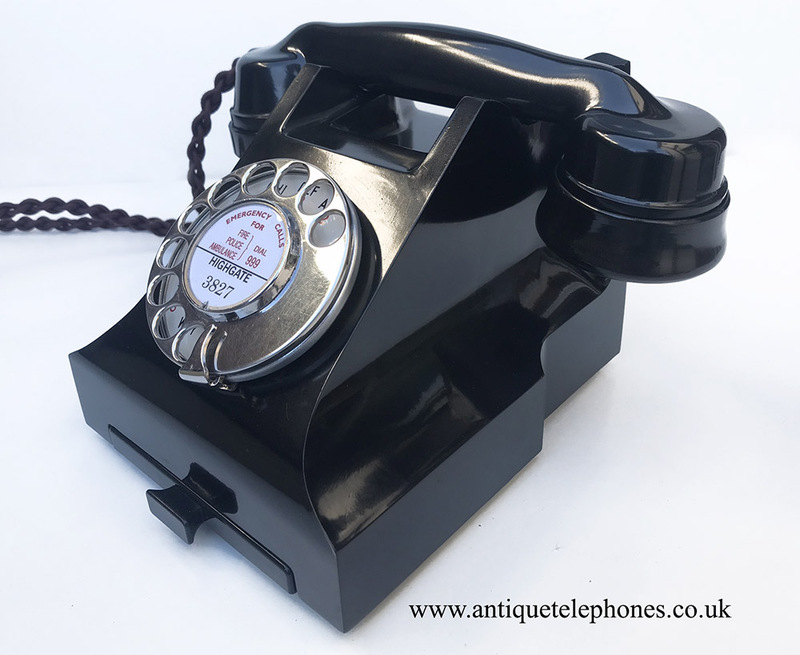 I prefer to keep telephones as original as possible if I can. It has been stripped down and rebuilt after each part has been cleaned and polished. 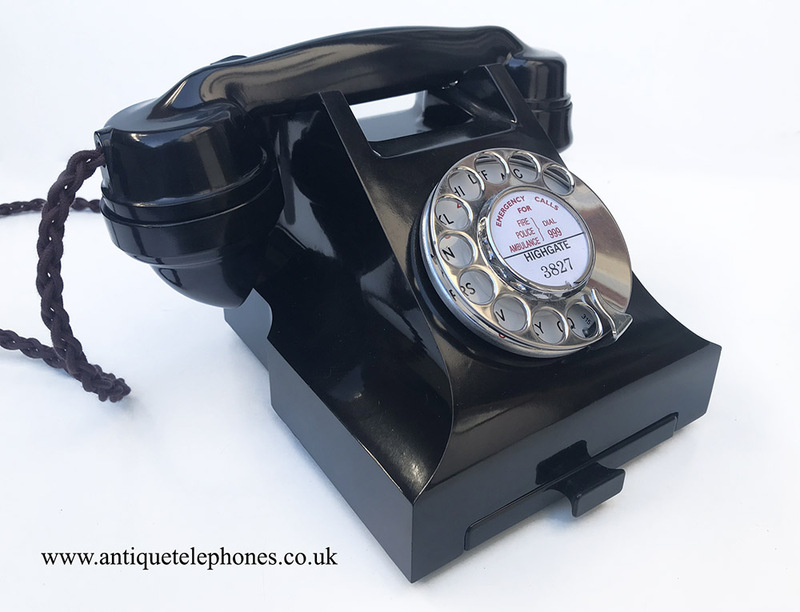 The GPO No12 alpha numeric dial with stainless steel finger wheel has also been rebuilt and the contacts cleaned and tested. Then set up on a special line simulator to allow to work on both BT and cable networks. 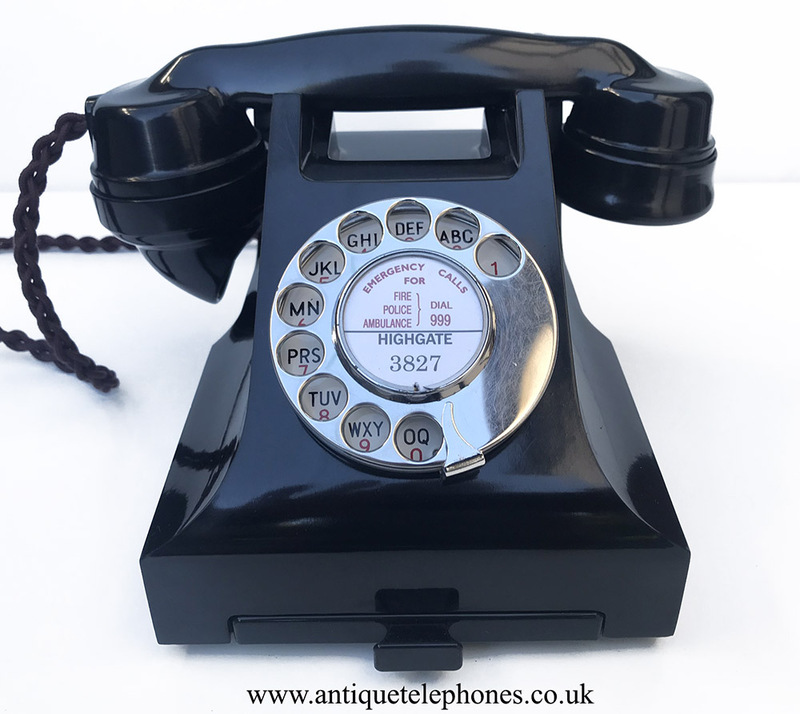 I have fitted an electronic microphone, a best quality line in cord with UK telephone plug socket made by us and a very best quality all British manufactured hand plaited braided handset cord to bring the speech quality up to modern standards. 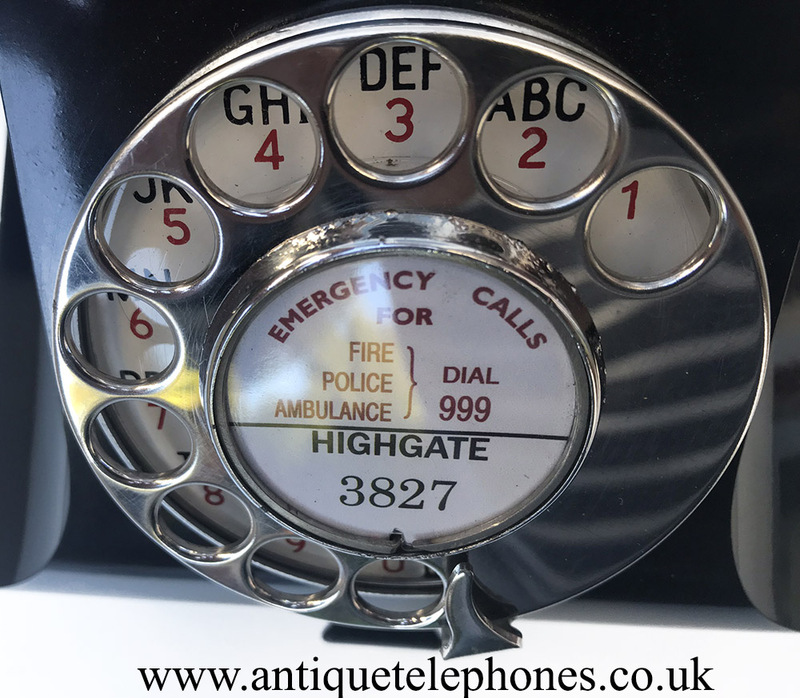 I can make a dial label with your information at no extra charge.